Nothing guarantees a sweet shower like an endless supply of hot water. Add energy savings to that, and you have the most delightful home for you, your family and visitors. Rinnai understands all that and always strive to give you nothing but the best. Rinnai Corporation is a global leader in the manufacture of gas appliances, was founded in 1920 and is based in Japan. They focus on the development of reliable and quality commercial and multipurpose water heaters. If you are looking for convenience, reliability, and comfort, Rinnai is your to-go-to brand. They are fiercely dedicated to quality and reliability and are without a doubt one of the top brand in selling tankless water heaters in the U.S. and Canada. Below, we look at the features of Rinnai tankless water heaters that make them the best for you. We also look at some factors you must keep in mind before purchasing a tankless water heater from Rinnai. They say big things come in small packages. Nothing could be truer for the Rinnai RUR98iN. Outputting a max of 9.8 Gallons Per Minute (GPM) with a flow rate at 50°F – temperature rise ranges from 5.9 to 7.7. The outstanding level of flow rate and temp rise means that you could demand the most from this water heater and never be let down. Weighing in at 81 lbs. this indoor wall mounted water heater is roughly the size of a carry on suitcase and sits on a TRS (tankless rack system) providing a safe and secure install. Offering both PVS and concentric ventilation options and fitting ½” gas lines, installation can be completed easily on most properties. This level of compatibility adds to the appeal of this model. The Rinnai RUR98iN is among the most modern water heaters available on the market today. 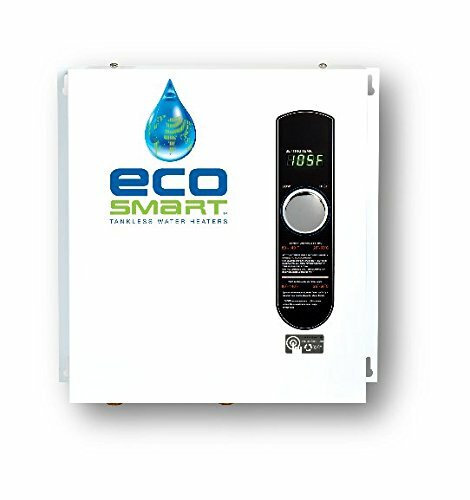 Everything from the electronics to the hardware equipped on this model are designed to make this system the most versatile and functional water heating system available. Using a thermal bypass valve, isolation valves, built-in circulation pump and MC195T remote controller, it is prepared to perform any task you may require from it. As well as having flexible ventilation compatibility, it also has an internal recirculation system. This means your water will stay hot for a much longer duration than most alternatives and does not require an existing recirculation line, or additional work by installing a new one. More of Rinnai’s technological features are dual heat exchangers, helping heat your water and provide maximum efficiency, giving it a .96 energy factor, as well as Wi-Fi capability. Tankless water heaters have countless benefits to them, and the Outdoor Rinnai natural gas water heater is no different. Not only does it free up space by replacing your old tank water heating system, but by being an exterior wall mounted unit, your heater is further protected from the elements and other potentially damaging scenarios that can happen at home, office, or work site. The Rinnai comes in at only 64 lbs., a remarkable size for a 120-volt system of this caliber. It is rivaled by, and second to none in terms of size and performance. With a wide range of temperature settings that you can regulate right from your phone, you can customize your water heating to your specific needs. Producing 9.900 – 199.000 BTU, and 9.4 GPM your water will be as hot as you need it to be and heat up quicker than you thought possible. If you’ve researched water heaters in the past then you already know that they are highly efficient, especially when compared to their alternatives, the Rinnai takes that efficiency and takes it to the next level. With thermal efficiency reaching 83% your water heater doesn’t waste any time heating or distributing your hot water saving you time, and money. This Rinnai RL94eN water heating model also has a digital controller that displays error codes to help you keep your unit running at peak performance or make any adjustments you need for the best experience (commercial controller must be purchased separately). Rinnai wraps all this Energy Star certified excellence in a silver, stylishly modern package, that will look great on any property’s exterior. As an added level of security, your new tankless water heater is backed by an incredible warranty that covers all essential parts including the heat exchanger as well as labor on residential installs. Are you looking for a replacement indoor water heater that will help you lower energy costs, free-up some space, and install easily without needing too much extra construction? Whether your water heater sits in a basement, cupboard, or on/near a common wall, the Rinnai RUC98iN has you covered. Prepared to comply with a variety of alternate ventilation setups you can replace a concentric or twin pipes system seamlessly, while giving your home a much more functional and modern look. Tankless water heaters are becoming more and more popular due to their ever-increasing energy efficiency ratings, simple design, home automation functionality, and trendy style. No longer will you need to have a closet dedicated to your water heater. Rinnai Ultra Series contain 120 volts of power and can put out 199,000 max BTU. They are infinitely more efficient than their predecessors too with a 0.96-0.92 Uniform Energy Factor and ultra-low NOx emissions rating. The space-saving design is a favorite for everyone, growing families appreciate the added space, and smaller households can take advantage of the visual appeal and extra room. With the power and consistent output of 9.8 gallons per minute, houses of all sizes in any region can rely on this model year-round. Certified by Energy Star you can check on the condition of your system with a digital controller that allows you to view potential warning signs and errors with your unit, or sync to your phone for personal control wherever you are. The Rinnai Ultra Series has something for everyone, and every household. Few water heaters will stand up to the level performance as the Rinnai outdoor RL94iN. Heating 9.4 GPM you can take a warm shower without worrying about adjusting the temperature due to the water cooling down. Engineered to produce up to 83% thermal efficiency, you can run multiple showers and appliances throughout your home simultaneously. As an added level of efficiency, this tankless water heater will not skip a beat after you return from an extended trip, or during even the harshest winter. Many homeowners currently spend precious time and money waiting for their water to warm up, but you don’t have to anymore! By upgrading to this natural gas system your hot water will be ready in record time with substantially lower costs than alternative models. 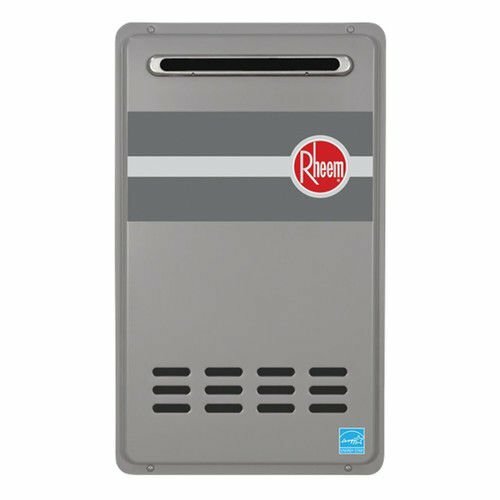 Weighing under 60 pounds, the Rinnai RL94iN is a lightweight tankless water heater system that rests peacefully on any wall in your home. Many people who make the switch to this model are thrilled immediately because of how versatile and compatible this unit can be. After installation people cannot stop raving about how much better the space in their home looks now, compared to having their old, bulky, tank system. Additionally, they can’t believe how much quicker their water heats up, then how much longer it stays warm — no matter how many people are using it. Because of the ability to take multiple showers at once while running appliances, heat water quickly in a time-crunch, or back-to-back showers, this is truly Rinnai’s family water heater. 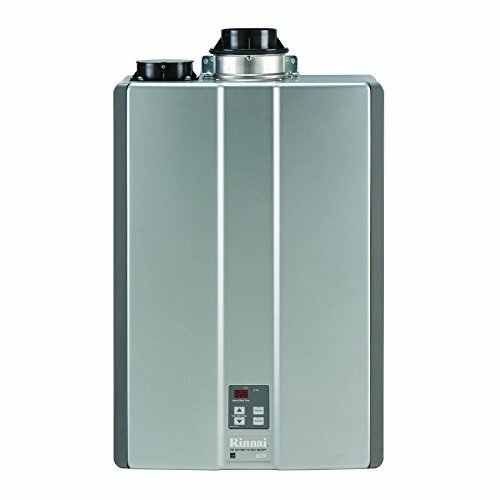 Rinnai RL75iN is a simplistic, yet powerful water heating unit that is changing the way homeowners view water heaters. In the past, people have always had this large, bulky, typically rusty or worn down looking system either tucked away or awkwardly sitting in their home. Few people really knew how they worked, and even fewer knew how to fix it if anything ever went wrong. That’s part of the magic of this modern marvel in the water heating industry. 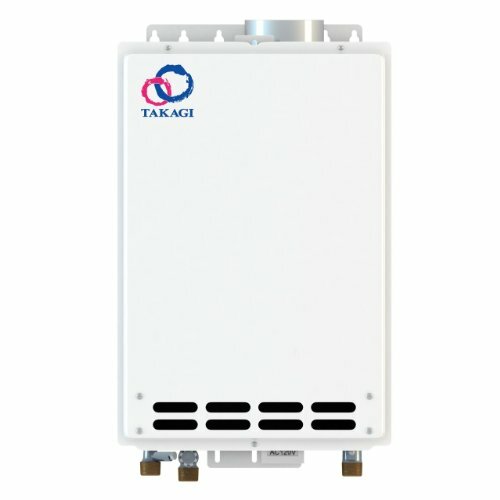 If you are ready to make a change and upgrade to a tankless unit this is a great starter model. Not only does it perform exceptionally well, warming 7.4 GMP but it also has a digital error code indication screen that can easily give you insights into potentially harmful factors. Even better yet, you can get perspective on anything that may currently affecting its performance, helping you protect, troubleshoot, and repair your system quickly, without worrying about repair scams. As an added precaution of your new tankless natural gas water heater comes with an extensive warranty that protects the installation, faulty parts, and the essential heat exchanger. 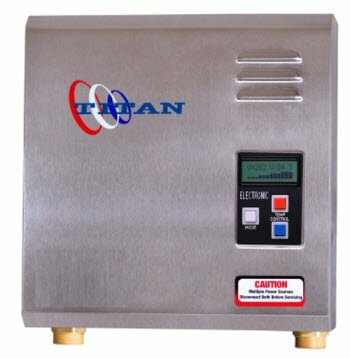 This indoor Rinnai water heater works great for homes and commercial properties with settings reaching 98°F – 140°F for homes, and 98°F – 160°F for offices. The RL75iN rests perfectly in the middle of what you’d want and expect from a water heater too. 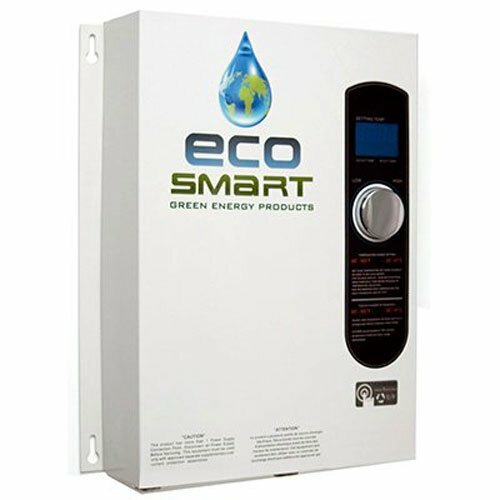 Available for under $1,000 your Energy Star Certified water will be heated by a dependable 10,300 – 180,000 BTU while operating on 120 Volts and 82% thermal efficiency. This is the water heater for the everyday American home and family. When a home or family are looking for a hot water heater, the bottom line lies at the needs and performance of the model being considered. For your home, do you need a water heater that can effectively supply two showers, with moderate appliance use simultaneously while your family prepares for the day, or freshens up at the end of a long day? If this is the type of efficiency you’re looking for without spending $1,000 or more, you’ve found it. The cost-effective solution you’re looking for is the Rinnai’s V65EP. 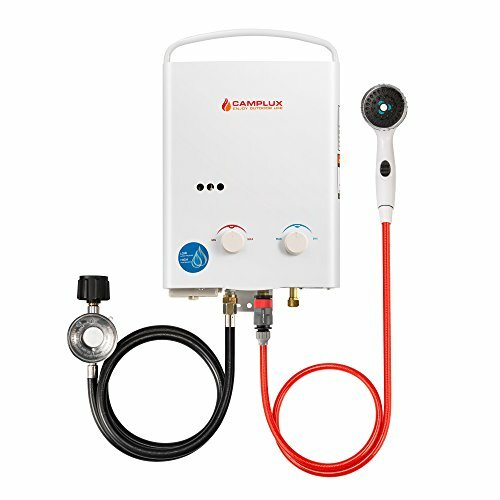 A seemingly simple unit, it is built with 120 volts, weighs in at just 60 pounds, comes pre-set at 120 (or 140 by request of the installer) with temperature lock protection, ½” gas line compatibility, and has an energy factor of .82, for both gas types. With all this ease, aligned with the reassured and sustained performance ensuring your family has efficiently heated water, this model it is a smart choice for any homeowner. Rinnai provides an exceptional warranty that protects the essential heat exchanger for 15 years, all parts for 5 years, and as well as coming from the manufacturer install-ready, also includes a 1-year labor installation guarantee. If your family needs a hot water heater that will fulfill every one of your requirements without breaking the bank, this energy-efficient, tankless heater is your best choice. Certified for installation on mobile and manufactured homes, it has incredibly low emissions and complies with South Coast Air Quality Management District, in other words 20 ppm NOx emission levels or14 ng/J. What do you get with Rinnai tankless water heaters? 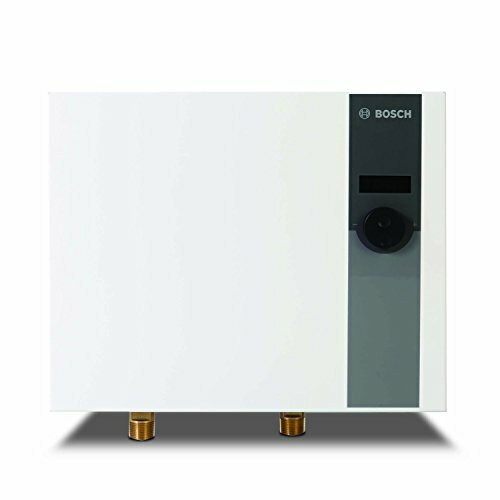 If you need a tankless water heater that will give you an endless supply of hot water, you are in the right place. Rinnai uses innovative technology to provide hot water whenever you need it. You will get not only hot water at all times but also for multiple uses. Yes, you can shower, do the dishes, laundry, all at the same time. Rinnai’s tankless technology guarantees maximum efficiency by using durable heat exchangers and saves up to 40 percent energy than traditional tanks. Rinnai uses electronic ignition to ensure no standing pilot light uses energy continuously, only operates when you need hot water and do not have storage tanks that ultimately saves you a great deal. Rinnai’s tankless heaters are about the size of a suitcase to allow you to install them almost anywhere indoors or outdoors. The small size will enable you to free up a lot of space in your home and makes them suitable for any size of household. Rinnai tankless water heaters have replaceable parts meaning instead of buying a whole unit when something goes wrong with yours, all you have to do is replace a specific component. Amazing, right? Rinnai achieves maximum energy efficiency with their tankless water heaters which help conserve natural resources and the low carbon dioxide emission also leads to less pollution. They also contain their waste levels by ensuring their products have a long lifespan and recyclable parts. If correctly installed and maintained, you can get up to 20 years of service or more with Rinnai tankless water heaters. It is relaxing to buy a water heater knowing there is a backup in case something goes wrong with it. With Rinnai tankless water heaters, you can be sure of limited warranty on the heat exchanger, parts and labor depending on how you use it. How about controlling your hot water from wherever you are within your home? Rinnai offers this feature for some of its heaters. You attach the Wi-Fi module, download the app and you can adjust your water temperature, receive maintenance alert, activate recirculation system as well as run diagnostics. What Size Meets Your Needs? These tankless water heaters are in different sizes. Determine your household demand flow rate and your home’s temperature rise before selecting a water heater. Remember tankless water heaters do not have storage tanks to buffer any shortages so be sure to purchase the correct size unit to meet your hot water demand during peak periods. Natural gas, electricity, and propane are the most common fuel choices. Choose your unit based on the fuel available in your home or one that is the most cost-effective and efficient. The GPM ratings to meet your home needs is affected by your area’s climate. You will need a powerful water heat for winter, and a smaller unit will work fine during summer. If you rarely experience freezing temperature, consider an outdoor unit. When fitting a gas tankless water heater, one important consideration is its venting. Rinnai tankless water heaters offer versatile venting options. One option is the safe and reliable concentric vent method. The system features both an inside pipe for venting and an outside one to draw air from outside to cool the vent. A direct vent allows you to place the water heater anywhere in the room whereas power vent needs you to set the heater in a place that provides adequate air for combustion. Condensing tankless water heaters are more expensive than non-condensing units and can use less expensive venting materials. Outdoor gas tankless water heaters are installed outside and use free flow of air to vent exhaust thus do not need additional venting. With a water heater from Rinnai, you have the option of installing it almost on any wall in your home thanks to its modern compact design. You also have the choice to fit your water heater outdoors. The size of your home and your hot water needs will determine the number of tankless water heaters you need. If you need many water heaters, purchase smaller ones or go for one large and powerful unit if you need only one. An ultra-powerful water heater unit will meet high water demands in your home as well as save you installation cost, maintenance, and utility bills compared to many small units. You will need a water heater that provides high flow rates to meet your hot water demand for multiple uses. Your water heater needs to support both high hot water flow rates and various appliances to allow different people to shower at the same time, do dishes, laundry among other chores. If you do not purchase a water heater with a high flow rate, you will end up getting lukewarm water when you run multiple applications concurrently. You should look out for safety features offered in the unit. Some tankless water heaters feature temperature lock functions that prevent accidental changes to water temperature for safety. They also have a sealed combustion system for optimum protection. Rinnai recommends a licensed contractor performs the installation process for optimum operation and performance. The installer must have been trained on the plumbing, gas, electrical and venting aspects of tankless water heaters. How much are you comfortable to spend on a tankless water heater? Rinnai tankless water heaters come at varying prices while maintaining quality to allow you to purchase one based on your budget. You will need periodic maintenance to keep your Rinnai unit running smoothly. Check the inline screen filter for debris and flush the unit based on the quality of your water to keep your unit lime and scale-free. Limitless hot water supply is the joy of any family. Rinnai tankless water heaters focus on quality and reliability to offer your family nothing but the best. They ensure a hot shower for everyone without taking up much space, saves on energy costs and last longer to guarantee years of service. Choosing one that is right for you depends on the size of your family, your budget, your needs among other factors. Eventually, every tankless water heater from Rinnai will give you the convenience both you and your family needs. Whether for commercial or residential use, 2 or 3 bathrooms, on a budget or not, energy will always have something for you.